Yes! I would like to sign up to receive emails or other types of commercial electronic messages on the latest product announcements, promotions, service specials and more from Subaru Of Muskoka. You may withdraw your consent at any time by clicking the unsubscribe link contained within all of our commercial electronic messages or by updating your preferences with us. 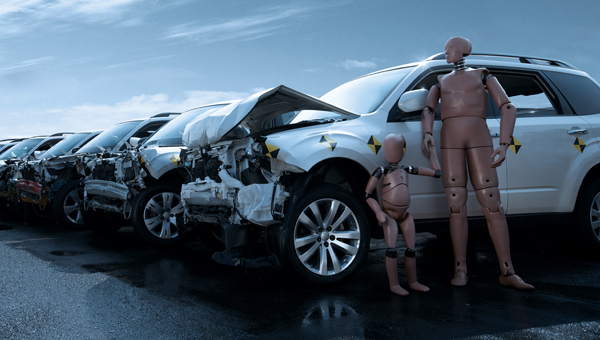 Subaru is stronger and safer than ever before, the result of ever-improving production methods and endless technological advances. The starting point is in the construction of the vehicle itself and the quality of materials used. An ultra-rigid frame and body set the stage for improved vehicle performance in all respects, from driving dynamics to crash protection. The frame is the building block upon which all the key vehicle attributes are built. 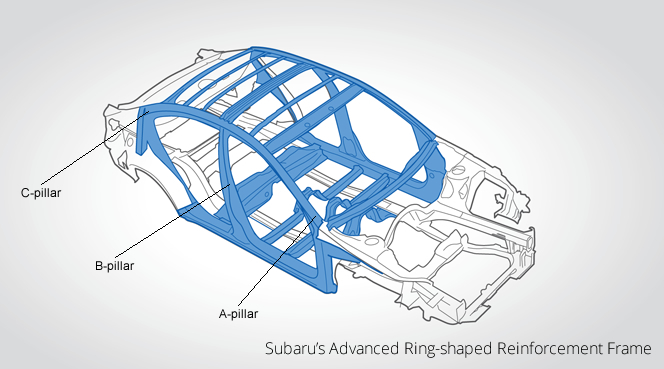 From years of focusing on the best possible production standards, the Subaru Ring Shaped Reinforcement Frame is the perfect platform for delivering unsurpassed driving confidence.In designing this frame, the engineers at Subaru aimed to maximize frame strength and torsional rigidity while minimizing weight. This approach has created a more solid feeling all around, as well as more precise and consistent handling, especially on rough roads and through the corners.The super-strong frame also enables the suspension system to work more efficiently, delivering a smoother ride by isolating passengers from noise and vibration. And the lightweight construction helps deliver a better power-to-weight ratio and better fuel efficiency. 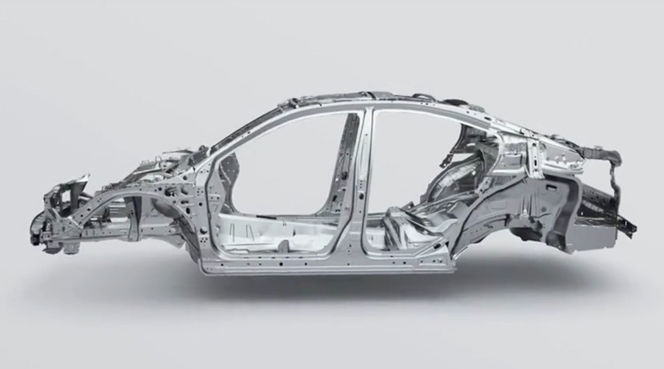 The Subaru Ring-Shaped Reinforcement Frame sees the pillars, body-side frames and floor cross-members positioned in a ring-like layout, all connected together to form a super-strong protective safety cell. This proprietary design incorporates high-tensile strength steel to provide high-impact protection and a front crumple zone that diverts energy away from the passenger compartment.The B-pillar in particular is a powerful work of art, constructed of eight different layers of high-strength, high-tension steel that envelope an ultra high-strength boron rod. This column is cut and welded with a laser, then welded along the edges to create a uniform and incredibly strong structure. The roof is exceptionally strong as well — it’s made of the same Japanese steel that was used to forge Samurai swords. These seemingly extreme measures ensure that the Ring-Shaped Reinforcement Frame provides a balance between protecting against collisions and controlling energy dissipation, from any and all directions. 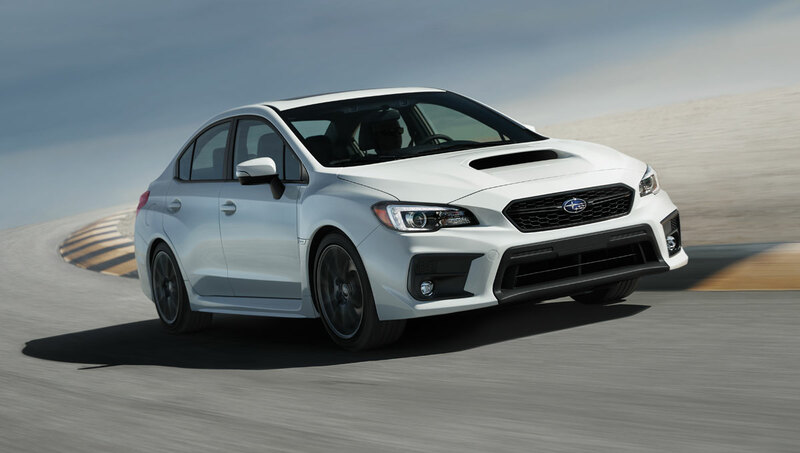 This design is so effective, it’s helped Subaru become the only manufacturer to receive a Top Safety Pick designation from the Insurance Institute of Highway Safety (IIHS) for all its models for six consecutive years (2010-2015).